Dress: ASOS. Shoes: Old Banana Republic. one // Dress: ASOS (also in white here). Shoes: Staud. Earrings: Jennifer Behr. Bag: Pamela Munson (on sale with EVENT19). Glasses: Reframe. Clips: Amazon. two // Dress: Johanna Ortiz. Earrings: Jennifer Behr. Bag: Pamela Munson (on sale with EVENT19). Glasses: Vintage. Clips: Amazon. Vacation mode! 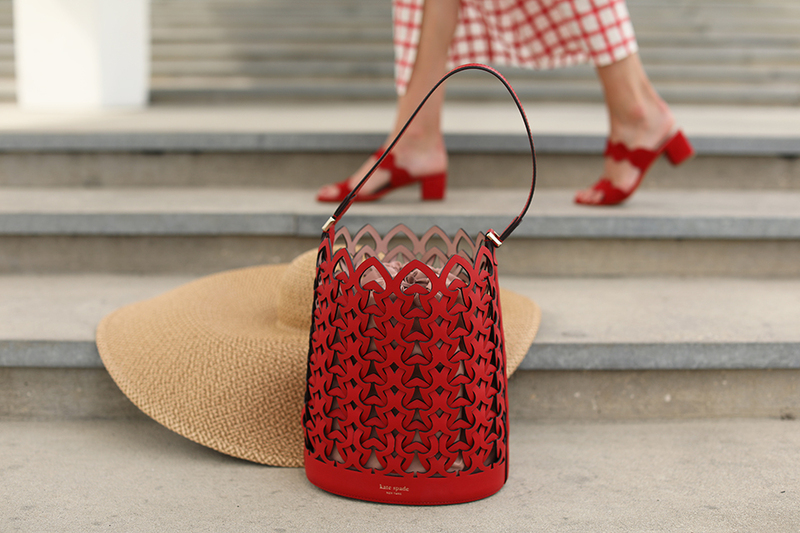 A few of my favorite things to pack for a warm weather excursion include: a cover up that doubles as a date night item, a bright bag, versatile statement earrings, a hat that is too big to fit in any suitcase and chic heels that are low and comfortable. Let me present all of those items in one outfit – TA DA! 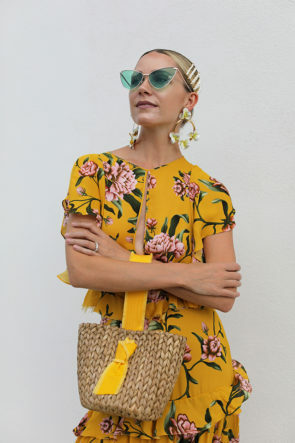 I also found myself packing these earrings, this colorful dress, and this easy knit dress from the ‘Vacation Shop‘ on Nordstrom. I am so ready for warmer weather and was ecstatic to sneak down to Florida for a few days before it is officially spring in NYC. I have been checking in on house renovations, getting in family time, and working by the pool. Fingers crossed that by the time I fly home, NYC will in full spring, with sunshine and fresh blooms. Shop my full look below, and if you are heading somewhere warm (or are lucky enough to live in the sunshine already), check out the Nordstrom vacation shop here! Skirt: Mara Hoffaman. Shoes: Patricia Green (in SO many good colors). Bag: Kate Spade. Hat: Eric Javits (surprisingly easy to pack!). Sunglasses: Saint Laurent. Top: Wayf. Earrings: Lele Sadoughi. Thank you to Nordstrom and ShopStyle for sponsoring this post.